As a young man growing up in Alaska, I realized how being independent and working hard can make all the difference in the world. Since then, I have studied business on the west coast and returned to AK to practice my trades. My background is in commercial fish processing and previous owner of a small business here that processes and sells seafood online. 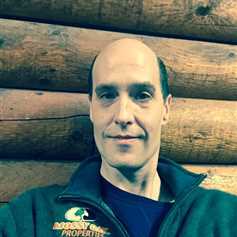 But my full-time occupation and love is that of real estate agent in Soldotna here at Mossy Oak Properties. I am a customer-driven agent that is willing to help out my clients in every way that I can. Its not enough to just do your job. It should be done with PASSION and integrity.This way all parties involved feel mutually connected to the transaction and trustful of one another. Mutual respect. And, buying property can be fun! There is no law against enjoying business deals. My areas of expertise are Residential and Vacant land sales as well as Commercial property.